What with reading a book for a review and nursing Daddy Kiril (With help from Sneakers!) thru what we thought was a very bad cold, but has something to do with asthma-like symptoms in reaction to possible allergies, what's a girl to do? Well, I'm back with the new carnival, that's what! If you missed my last edition, #573, it begins with a humorous, yet important, message about what I hope to accomplish here, that I encourage you to read. 1. 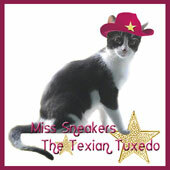 As for Sneakers and me...it embarrasses and truly hurts me (Daddy is taking it even harder!) to say so but, for the first time in years...The Opinionated Pussycat had nothing to submit to the carnival...that's how tough things have been the past week or so. The humans behind the event finally have their own website up and running and guess whose major event review about his first visit and performance experience has been featured on their "Press Page"? WAN Poetry Debuts New Website: Mad One Mentioned on Press Page! That first post ends with a link to a report on his encore visit which featured photos of his encounter with the resident feline of the venue! It's a sad, yet fascinating, tale, powerfully and movingly told by Mom Jan, with photos. 6. Over at StrangeRanger...A video of a pair of humans performing on stage and appearing to, at some point, yowl like street cats in heat, is shared before getting around to 3 cool photos of Maddie and her thoughts on her humans night out and their efforts at recovery. 7 thru 9. Over at Sparkle Cat...Summer Samba turned all of 1 year old! It was quite the party in the post and comments. What an awesome girl you have become! Sparkle would be so very pleased . What a great BD treat, too! Summer also rocked the Portland Cat Show by winning 6 ribbons - concatulations! 10. Over at Life From a Cat's Perspective...It's a St. Catrick's Day celebration! 11. Over at Marian Allen's blog...Sweetie Pie ran away for the whole day! These tales often have sad endings but, like with a certain cat we all dearly miss, this adventure ended happily. In the glory days of his youth Nikita (photo from 2006!) once got left outside all day and had quite the story to share on the blog he & daddy had at the time. He never was that curious again, hee, hee! From Sept. 2002, their first year blogging: Daddy tells his side, then Nikita! If it's All the Same to You I'd Rather be Inside! 14 and 15. Over at CatSynth...Take a gander at Miles the Cat and a cat at work apparently repairing something. 16 and 17. Over at Brian's Home...Womancat Wednesday with Sascha and Gracie and everyone celebrates the birthday of the Mom Human as Dolly & Sascha catch some sun. 18 and 19. Over at Animal Shelter Volunteer Life...one of the first cats ever featured on their blog (back in January 2009) has come back to PAWS through no fault of her own. A sad, yet uplifting, story as a familiar feline has a chance at finding a new forever home. 20. Over at Traveling Cats...A tavern Tuxie in Brussels, Belgium. 21. Over at 15 and Meowing...It's Selfie Sunday! 22 and 23. 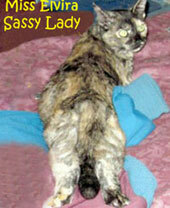 Over at Marks Mews..."Kitty Headbutt"or "Kitty Bumpercars" on St. Paddy's Day and Snow in March! As previously mentioned we are always looking for tips, leads, links (even search term suggestions) to interesting news stories and blog posts for the CoTC news round-up, and even for me and Sneakers to consider for the FNN Special Report, Elvira Factor, Texas Tuesday and more....and give credit where credit is due! Some pets are indifferent to their owners and other humans. Feed them and keep them warm and that’s as far as the relationship goes. But some animals make real, personal, affectionate connections with their humans. When you find a pet like that, they do wonders to enrich your life. You learn what true, innocent love and affection is like. Your pet brings fun and levity to your life. 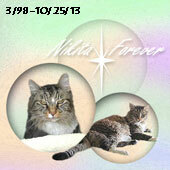 He and his family recently lost 2 beloved cats and his posts paying tribute are moving and powerful reads. Please stop by and hare your thoughts, purrs and purrayers. 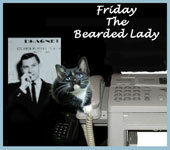 The Creative Cat is a blog about the intersection of art, photography, writing, poetry...and cats. Author Bernadette E. Kazmarksi has written a fascinating piece about how she used all of those elements to pay tribute to her cat, Stanley, after his passing 8 years ago. The visuals alone are worth the visit...A Card Full of Memories. Mary Denman is a writer, photographer and observer...of cats and many other things. Our humans are always waving cameras in our faces, asking us to patiently pose for them, or taking pictures of us when we least expect it. Some, like Daddy Kiril, take photos of cats on the street. Mary has written an interesting post about "the direction of lighting" and her cat, Lady Catherine De Bourg, helped her out considerably. The more comfortable you get with your camera, the more confident you will be with it. Then, as you take more shots, you'll be able to use them more and more on your blog. You'll be able to create mood shots that evoke feelings. Or take clear shots that go right to the point. You'll have more inspiration for your blog and the direction it takes! 5. The Denver Post had a story, back in late December, about how a "Denver group helps homeless cats by building shelters for cold weather." The 50 shelters were given to volunteers who care for feral cat colonies, doing the usual things such as leaving food and checking on general well-being. The story is very interesting and the photos, in the slideshow, are fascinating and touching. The first is about the poetry of a cat and dog lover and thoughts about whether "When It Comes To Furry Muses, Cats Are For Brevity And Dogs Are For Books." I imagine the many cat book writers, past, present and hopeful future might have something to say on this subject. The many books in our collection give lie to the notice that books are the domain of Dogs more than cats. We hope to add our works to that list someday. 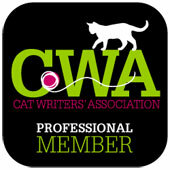 The 2nd piece is a wonderful, near 260 yr., trip celebrating cats and the poets who loved them. 8. This story from New Mexico will have you scratching your head: "A local animal rights activist is once again taking legal action to try to stop the City of Albuquerque from spaying or neutering feral cats." Well, hell, if she cares so much about them and their ability to procreate in the wild being hindered, she can just take them all home with her and give them forever homes and help raise their kittens, too. HMPH! "What sets them apart is their strange belief that they are a special, beleaguered minority. What sets them apart is their refusal and/or inability to recognize that opposition to the burning of kittens is a unanimous, universally shared opinion." "I whole-heartedly agree that kitten-burning is really, really bad. But the leap from “that’s bad” to “I’m not that bad” is dangerous and corrosive." This long piece is a fascinating read, and was written by Fred Clark of the Patheos blog. The piece is a visual feast of Victorian and Edwardian era Christmas cards and begins with a lovely one featuring cats! 1. Friday Ark #512 - Cats, Dogs, Birds, Invertebrates, Other Vertebrates and the Extinct! Oh, my! 2. Camera-Critters #363 - The oldest active meme about photos of animals/critters! Well, that's all, kitties! I am off to take a nap! 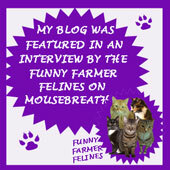 Thank you to our friends meowmeowmans and the gang at Animal Shelter Volunteer Life for being the 4100th comment on this blog since it began on New Year's Day 2010! Wow, this is a huge Carnival! So much going on! And thanks so much for the birthday wishes - I'm still amazed along with everyone else that I'm already one! Woohoo! We just saw the update about being the 4100st comment on your awesome blog. That's a lot of comments -- and a lot of wonderful posts, too! Thanks so much Elvira, Sneakers and Magellan for the mention! I hope the photography tips help your humans do a wonderful job taking and sharing your awesome personalities! SO many wonderful kitty cat posts to visit! Concats to Daddy Kiril on recognition of his poetry reading. That's awesome! And thank you again, for spreading the Pet Parade and so many cats stories across the vast internet. Hoping for a mellower week for you. Thank you so much for including us and your kind words over the loss of our Cameron. It must be fun to read your poetry to a group. You are welcome Jan, my friend. The other is what's known as "Spoken Word", a more emotional connection, in many ways, as the performer does so from memory, just as stand-up comics, singers and the like do. I will check out that press page with your Dad's poetry and I hope your Dad feels better soon. Thank you for mentioning the Tuesday's Tails Blog Hop! We really appreciate it! Thank you for visiting my blog and offering your condolences about Tungsten's passing. I am going to miss her very much for a very long time.